All top athletes train and practice the basics over and OVER and OVER again. Our minds and bodies can be distracted and pick up bad habits if not constantly being reminded of the fundamental basic steps, techniques and ideas. Sounds like a good idea when it comes to law, rights etc. as well. So on that note, here are some good videos that remind us of the basics that we may have been distracted with fancy complex distractions and have forgotten the basics which CANNOT be ignored without paying the price for later. Here are few videos that are worth watching again and also one that is a recent update on the “Downfall of the Vatican”… that if you pay attention confirms the basics. 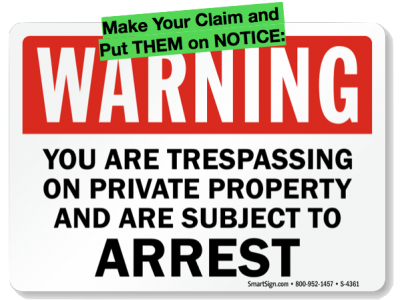 Police, agents of the State and Judges very often immediately resort to intimidation tactics and DEMANDS in an attempt to assert their desired authority of you and trick you into giving your “voluntary compliance” to their demands (it’s voluntary because you did not have to). Watch and listen as this fellow answers every questions with a question and stays polite to defuse the cop’s aggressive “I’m the boss of you” stance. The cop then leaves once he knows he is beat with no real authority.